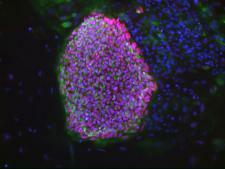 Are All Pluripotent Stem Cells Equal? Research cloning of humans has always been controversial, because the technology (if ever perfected) would require women&rsquo;s eggs — many, many eggs if it led to therapies — and would certainly make human reproductive cloning technically more feasible. There were therefore sighs of relief when Shinya Yamanaka discovered how to reprogram readily available somatic cells to become pluripotent, for which he won a Nobel Prize. Induced pluripotent stem cells (iPSCs) were such an exciting development that many people thought that there was no longer any point in pursuing research cloning, or generating pluripotent embryonic stem cells via nuclear transfer (NT-ESCs). After all, it hadn&rsquo;t been done after years of trying. But not everyone agreed. Last year, a team at Oregon State led by Shoukhrat Mitalipov did report success in generating NT-ESCs, and in 2014 two other teams duplicated the result: one led by Dieter Egli&rsquo;s team at the New York Stem Cell Foundation, the other a collaboration between the Korean Cha Institute and Advanced Cell Technology. human somatic cells can be faithfully reprogrammed to pluripotency by SCNT [somatic cell nuclear transfer] and are therefore ideal for cell replacement therapies. The two cell types showed similar genome-wide gene expression and DNA methylation profiles.